Unmatched Experience and Expertise in the Car Wash and Truck Wash Industry. Ver-tech Labs manufactures products for cleaning in the toughest environments. Our product line includes detergents, degreasers, surface cleaners, floor cleaners, sanitizers and many specialty products for a variety of industries. 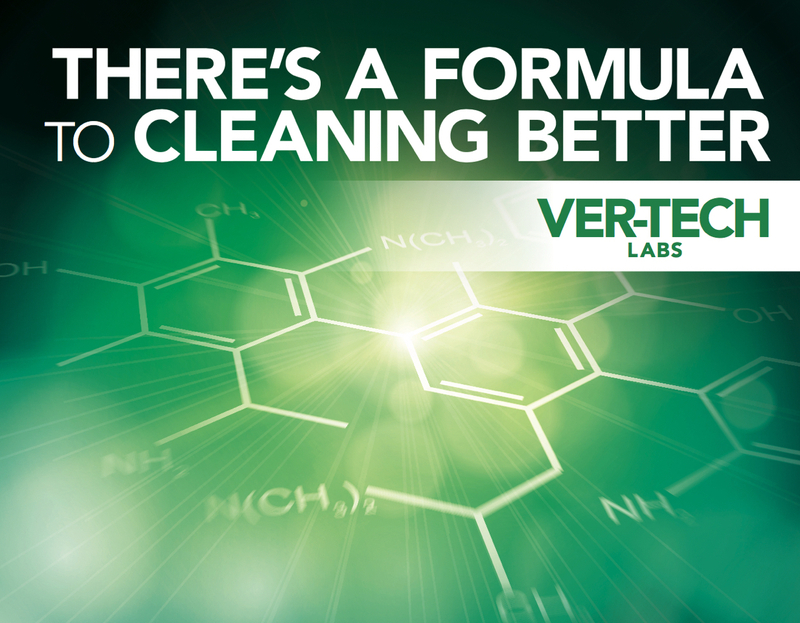 From the routine to the toughest cleaning challenges, Ver-tech Labs has a cleaning solution for you! Since 1981, Ver-tech Labs has provided transportation and industrial cleaning solutions. Ver-tech Labs has one of the largest sales forces in the industry. Currently, we have dedicated sales professional with a combined 200 years of experience in the car wash industry, selling some of the best car wash soap, wax and detergents. These individuals work with our business partners in the field to solve cleaning and drying problems, make recommendations about equipment, and keep you apprised of the latest trends in the car wash industry. The field sales force is supported by our two chemists with over 50 years of experience. Located in Rockford, Minnesota, our 72,000 square feet facility houses a variety of liquid mixing tanks, powder blenders and nine shipping and receiving docks. We deliver high quality chemicals and solutions within the continental United States. We are committed to environmentally-friendly manufacturing processes by carefully selecting ingredients, waste water reduction, chemical recycling and container recycling. The most valuable asset in any business is its people. Ver-tech Labs has an experienced and talented field sales force that works with our customers on-site to solve their toughest cleaning problems. Ver-tech Labs carries some of the best car wash soap, wax and detergents. We have an innovative product line with revolutionary technology to solve the toughest cleaning problems. We view our customers as our business partners. We believe that if our customers are not profitable, Ver-tech Labs will not be – our success depends on our efforts to make you successful. We provide premium products at fair pricing. We listen to our customers’ concerns and work with you to solve your problems. Quite simply, because at Ver-tech Labs we are passionate about helping our customers produce Cleaner, Brighter and Better cars. This passion is incorporated in our mission statement. What do Ver-tech customers say about us?